For a man so small in stature, Hornswoggle sure knows how to cause a huge commotion. Once revealed to be the illegitimate son of WWE Chairman and CEO Mr. McMahon, the pint-sized Superstar had the entire wrestling world buzzing over his newfound power. 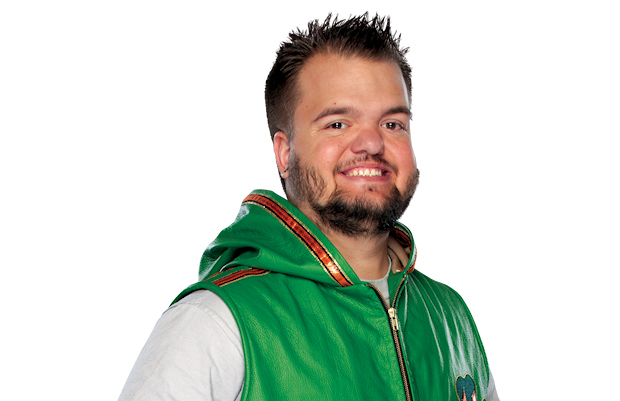 Hornswoggle on PWPIX.net, your go-to source for the latest news, photos and videos . 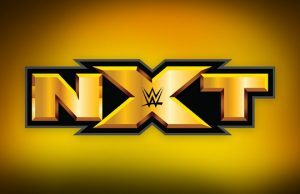 . .
May 6, 2016 – WWE has been announcing roster cuts all throughout the day, and the very first of those cut, Hornswoggle, has posted a heartfelt . 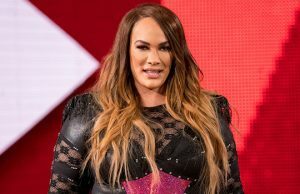 . .
May 13, 2016 – Regarding his WWE departure, Hornswoggle said he received a phone call around 9:30 a.m. last Friday and it “hit him like a ton of bricks.” While he hadn’t been on the . . .
Sept. 29, 2015 – As noted on Monday, WWE announced that Hornswoggle has been suspended for 30 days due to his first violation of the WWE Wellness Policy. This was the first publicly . . .
Oct. 10, 2015 – CM Punk tweeted this video of Hornswoggle being introduced in the wedding, then falling down the stairs. Hornswoggle was OK and the video drew a “not surprising” . . .
For a man so small in stature, Hornswoggle sure knows how to cause a huge commotion. Once revealed to be the illegitimate son of WWE Chairman Mr. McMahon, the pint-sized Superstar had the entire wrestling world buzzing over his newfound power. After only five months as a member of the McMahon family, John “Bradshaw” Layfield revealed the little guy was actually the son of Finlay. The attention Hornswoggle garnered as a member of the McMahon family was not all that foreign to him. As a small person, he’s used to people staring at him, especially when he’s beating Superstars twice his size in the ring. That’s right, the little Hornswoggle owns victories over such Superstars as Chavo Guerrero, Carlito and Jamie Noble. He even turned back five of SmackDown‘s top names to capture the Cruiserweight Championship in July 2007. The victory put Hornswoggle on the same list with history’s greatest cruiserweights. Despite gaining great fame in the ring, Hornswoggle considers his father’s safety his main priority. Each time Finlay hits the ring, the feisty Hornswoggle is always right behind him ready to offer a helping hand, whether it’s whacking an opponent with a shillelagh or delivering his signature Tadpole Splash. Hornswoggle fulfilled a dream when he became the official mascot of D-Generation X. He continued to live large at the 2011 Royal Rumble when he helped John Cena eliminate several WWE Superstars and also served as Titus O’Neil’s Pro on NXT: Redemption. Thanks to Santa’s stop on a special holiday episode of SmackDown, the little Irishman now has the gift of speech. Hornswoggle had a long run with WWE. As a matter of fact he worked for the company for almost a decade before they let him go recently. Since his WWE departure, Hornswoggle has been making the rounds on the indie circuit and Kayfabe Commentaries recently released their YouShoot interview with the former WWE star. During the interview, Hornswoggle reveals that CM Punk stopped talking to him after he (Hornswoggle) asked him for a mutual friend’s phone number. According to Hornswoggle, he got a new phone and then asked CM Punk for a mutual friend’s phone number and that’s when things went sour. He noted that the friend is someone who CM Punk is still best friends with to this day. But apparently the request didn’t go over so well and CM Punk thought that Hornswoggle was just using him. You can watch Hornswoggle talk about the situation in the clip below. Hornswoggle then told some wrestlers that he thought that The Rock thought he was a “Make-A-Wish kid,” and that quickly spread. 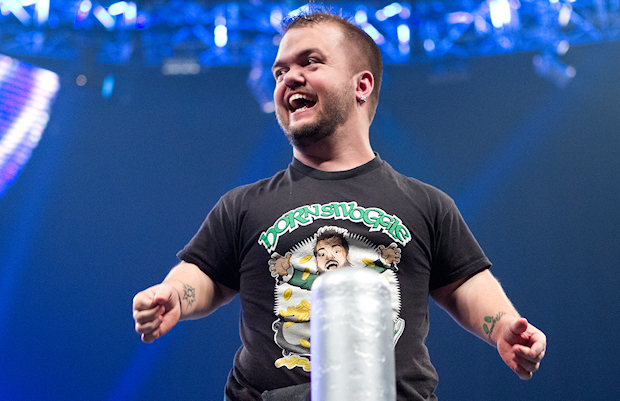 Hornswoggle spoke with Alternative Nation in 2014 and revealed a conversation he had with Rock after the encounter.